We are leading name in providing accommodation services to our business travelers and others. The range of services pertain to hotels, reception, lobby, swisston suits, executive room, deluxe room and others. All the services are cost effective and provide almost comfort to our guests. Our rooms are equipped with good quality furniture such as bed, table, cupboard and other necessary items. We ensure each room remains clean and on a regular basis bed sheets are changed. From our end, we assure of safe and comfortable stay. 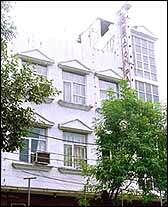 Hotel Swisston Palace is budget hotel in delhi, which is in this profession since the last 15 years, having diversified in the field of Hospitality Industry. This Delhi Hotel, Govt. Approved Guest House, offers all the facilities you look for while staying in a Hotel. At the Hotel we have created a friendly, warm and informal atmosphere that makes us distinct from the others operating in our sphere. Come and savor the luxurious experience! 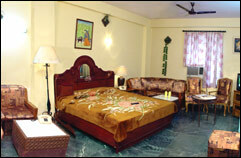 This Hotel provides Cheap accommodation in Delhi with the best of services within your budget. The distinctive fe ature of our hotel is high standard and quality accommodation catering to the needs of clients at reasonable rates. We provide best services to the traveling and business community, both Indian and Foreign. The hotel occupies an ideal location from the point of view of businessmen and tourists. Hotel Swisston Palace is strategically located to add ease and convenience to your stay. It is situated in the heart of the city, Karol Bagh which is one of the largest commercial hubs of Asia, in terms of shopping and trading. Assisted by a dedicated management, we serve our clients for 24*7. Amongst our teammates, we have mangers, receptionists and other hospitality staff. The entire staff is courteous in manners and behavior. We assure our management being trustworthy and loyal at all fronts. The teammates make sure that at all levels, we never give a chance of complain to our guests. Till the time the guests stay with us, we give our best shot in service. A/C climate control Electronic key Fax service Non-smoking rooms Private bathroom Refrigerator Telephone Television Television (cable/satellite) Wake-up calls A/C rooms colour T. V. in all rooms telephone 24 hrs. room service Doctor on call Attached bath with running hot and cold water Laundry services Generator facility Refrigerator Lift system.